Citigroup Global Markets must pay $1.1 million for participating in five public offerings after shorting the shares, FINRA said. The Financial Industry Regulatory Authority and BATS Exchange Inc. announced Tuesday that they have jointly ordered Citigroup Global Markets Inc. to pay approximately $1.1 million in connection with short selling ahead of participating in five public offerings of securities, in violation of Rule 105 of Regulation M.
The payments include the disgorgement of more than $538,000, plus interest, of profits and improper financial benefits, and approximately $559,000 in fines. Citigroup also violated supervisory requirements related to Rule 105, and as part of the sanction, the firm was ordered to update its written supervisory procedures for Rule 105 compliance. In concluding the settlement, Citigroup neither admitted nor denied the charges, but consented to the entry of FINRA and BATS’ findings. As FINRA explains, Rule 105 of Regulation M under the Securities Exchange Act of 1934 generally prohibits buying securities in secondary offerings when the purchaser sold short the security that is the subject of the offering during a specific restricted period – typically five business days – before the secondary offering is priced. From May 26, 2009, to Sept. 21, 2010, Citigroup sold securities short within the five business days leading up to the pricing of five public offerings in those securities, and then purchased securities in those offerings. 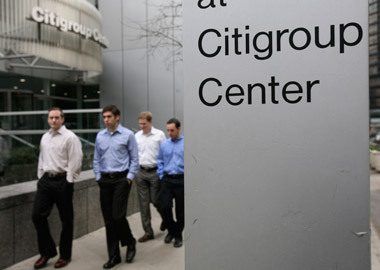 Citigroup purchased a total of more than 1.5 million shares after having sold short 313,890 shares of the securities within the five business days leading up to the offerings, FINRA said. BATS Global Markets, Inc. is a global operator of securities markets. In the U.S., BATS operates four stock exchanges – BZX, BYX, EDGX and EDGA. Check out Firms Agree to Stop Early Access to Analyst Opinions on ThinkAdvisor.